With over 10 years of experience eradicating pests from houses in the Auckland, Bay of Plenty and Waikato regions, Wild Weta has developed a pest control system that has maximum impact on any insect species - without harming your family or the environment. 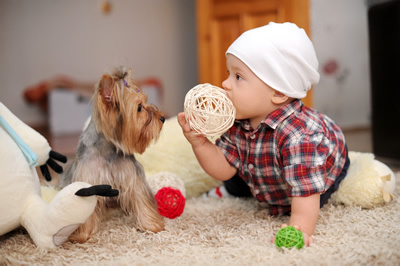 Our carefully selected range of residential pest control products are low-toxic and designed for safe application in homes with children, pets and people with health conditions such as asthma. We also understand the importance of privacy in your home. That's why our technicians ensure the utmost care is taken at all times with your property and possessions. Once we've exterminated the pests from your home, everything will be left just the way we found it - minus the pests! Why choose Wild Weta for your home pest control? We'll get rid of your pest issue on the first visit - if they come back within the above guaranteed period, we’ll return to completely re-treat your home for free! Got a rat problem in the middle of the night? Just give us a call - we’re available round the clock. We can even visit you after hours if you prefer. Our low-toxic formula is much safer around your family, so we only need you to be out of the house for 2 hours. All prices quoted and shown are exclusive of GST and include an unlimited 6month service warranty. Our most commonly treated residential pests are Flies, Fleas, Ants, Spiders, Cockroaches and Rats/Mice. We are happy to give a free no obligation quote on other property sizes, and pests not listed above. Please Note: These are not official quotations, only a price indication. A verbal or written quote is provided and that is the official quotation. Our quotation is based on the travelling distance, type of pest or pests to eradicate and the customer expectation (amount of work required etc). We offer a professional service and total upfront honesty at all times. Thank you , we value your business.